We hope you had a great holiday weekend. We are looking forward to some great events this week. We hope you can join us! Wed June 1: Free All 4 Run 2016 on Global Running Day- Join us at both stores at 6pm for up to 5 miles. After the run we will celebrate with food beverages and prizes. Thur June 2: Free One Barrel Brewing Pub Run with Madison Mini Race Director. Meet at 6pm for up to 5 miles with social hour following. Wear your past MMM gear for a chance to win some cool prizes. Sat June 4: Kick off for our Summer Half Marathon Training Program, Fleet Feet Madison at 8:30am--still time to sign up! 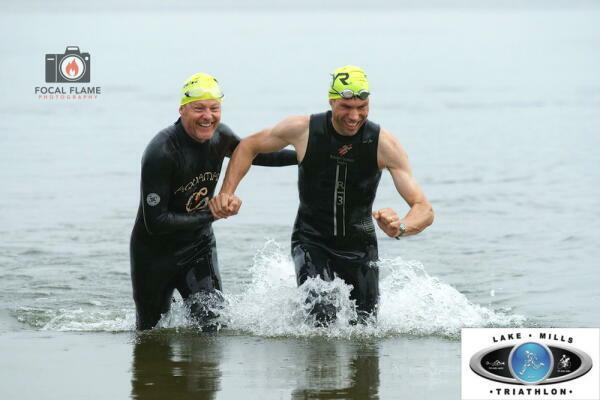 Sun June 5: Sponsored Event | Lake Mills Triathlon -- Lake Mills WI--Let us know if you need a wetsuit!